What we learned from the fourth round of the Rugby Championship, according to CRAIG LEWIS. In the lead-up to this weekend’s round of Rugby Championship action, there was a general consensus that the All Blacks would predictably wrap up the title once again with a bonus-point win over the Springboks. No one could have predicted that instead of the All Blacks continuing on their merry way, the Boks would turn up to claim their first victory in New Zealand since 2009. It was the sort of thrilling encounter that revived a rivalry that was becoming far too one-sided, and sent out a reminder that sport can be the greatest leveller. Immediately after the Boks stunned the All Blacks in Wellington, the ever-improving Pumas turned up to defeat the Wallabies 23-19 and end a 35-year winless drought in Australia. 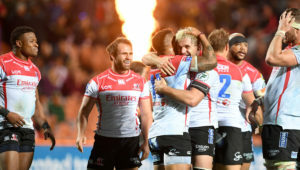 At a time when rugby fans were just beginning to lament the predictability of certain results, these two upset victories provided a much-needed alteration to the status quo. Consider for a moment that the All Blacks enjoyed as much as 75% of possession in Saturday’s clash against the Boks. In addition to that, they made 633m, 205 carries and beat 33 defenders, while the Springboks were forced to make a whopping 235 tackles compared to just 61 from New Zealand. It puts into perspective just what an incredible defensive effort it required from the Boks to repel the relentless All Blacks, with their physicality in the contact areas ultimately serving to rattle the reigning champs in a manner that has very rarely been seen. 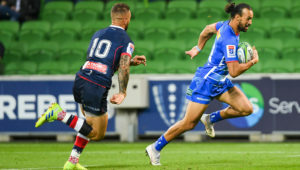 While it was an immense team effort on defence, praise should go to Pieter-Steph du Toit (24 tackles made), Franco Mostert (24) and Warren Whiteley (20), and not to mention diminutive Cheslin Kolbe, who completed eight tackles coming off the bench – including a crucial hit on Rieko Ioane. Prior to Saturday’s Test in Wellington, Bok coach Rassie Erasmus was starting to face some increasing questions over his selection policies that were at least partially aimed at expanding his squad depth. For the clash against the All Blacks, though, Erasmus picked what he believed was his strongest available lineup, and they repaid him with the sort of committed performance that vindicated the plans that have been meticulously put in place. 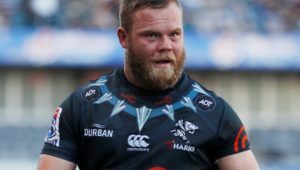 Erasmus also made great use of his full match 23 on Saturday, with the timing of his substitutions proving to be a largely unheralded but integral factor to the Springboks’ victory. Particularly when one considers that injuries forced the Boks to play most of the second half without their two starting centres, it was also encouraging to see how Elton Jantjies and Handré Pollard were able to dovetail to great effect as a 10-12 combination. 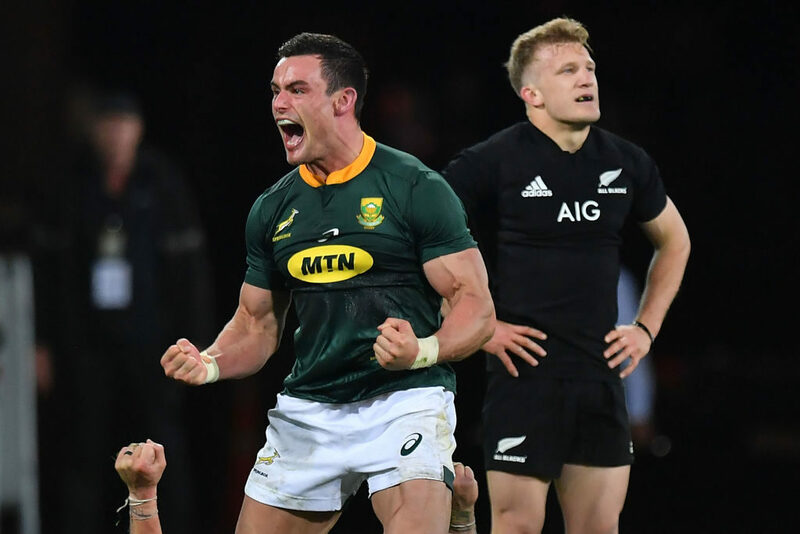 As the final whistle sounded in Wellington, the emotional response of teary-eyed Pieter-Steph du Toit spoke volumes about just how much this victory meant to the Boks. Indeed, it can’t be underestimated just how critical this victory is for them just over a year away from the World Cup. The Springboks and All Blacks have been grouped in the same pool, and there is no doubt that when that clash rolls around, there will be many references made to Saturday’s result at the Westpac Stadium. For the Bok players involved, many of whom will be in Japan next year, the confidence garnered from such a victory is sure to build belief that anything is possible at the 2019 World Cup. When the All Blacks surged into a 12-0 lead on Saturday, the contest appeared certain to follow the expected script. Yet it did appear to also send New Zealand into a false sense of security, with the Springboks subsequently capitalising on some completely uncharacteristic errors from the home side. 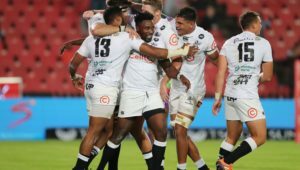 Besides catching the All Blacks completely off-guard with a rousing fightback, the Boks also benefited from a much-improved goal-kicking display by Pollard. By contrast, Beauden Barrett endured an awful day off the kicking tee as he missed four from six conversion attempts – a couple of which were completely regulation attempts. For so long the All Blacks have managed to get away with poor goal-kicking due to the fact that they generally score so many tries, but this time around, they paid the full price for failing to convert those five-pointers.